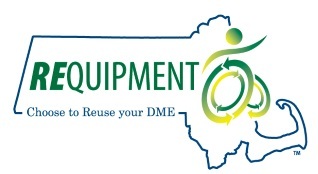 REquipment is a durable medical equipment (DME) re-use program offering free refurbished wheelchairs, scooters, shower chairs and more to adults, children and elders living in Massachusetts. Search our inventory and request items you need today! REquipment accepts and refurbishes donations of gently used medical equipment that is no longer needed and gets it into the hands of individuals who do need it. Learn more about donating below and call 1-800-261-9841 to arrange for free pick up.